Hi everyone! Sorry we have been haphazardly blogging recently, but we still haven’t received any good news about retrieving our lost photos from the first part of our Philadelphia trip…sad face! You can read more about what happened here. So we decided that we’ll just start posting content from the middle of our trip which leads us to our visit to the coolest historical prison we’ve ever seen! 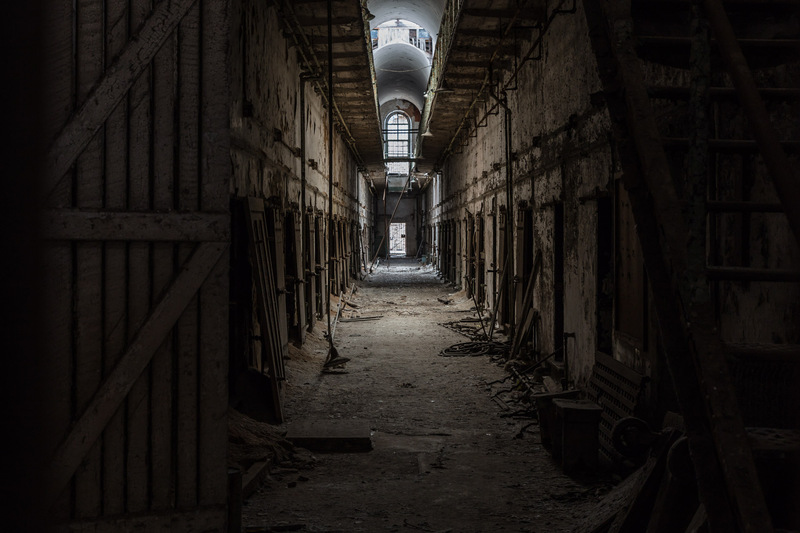 Situated within the city of Philadelphia, Eastern State Penitentiary is considered the oldest prison in America which was opened in October 1829 and operational until 1971. 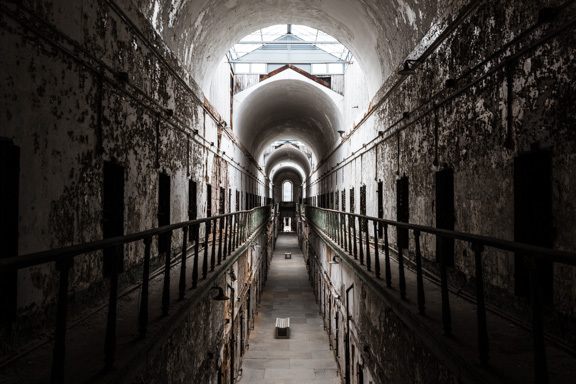 Now a U.S. National Historical Landmark, it is open to the public for exploring…and going on a unique adventure through ominous stone corridors, cells, and prison grounds which is why we thought we would share with you our tips for visiting this interesting place! 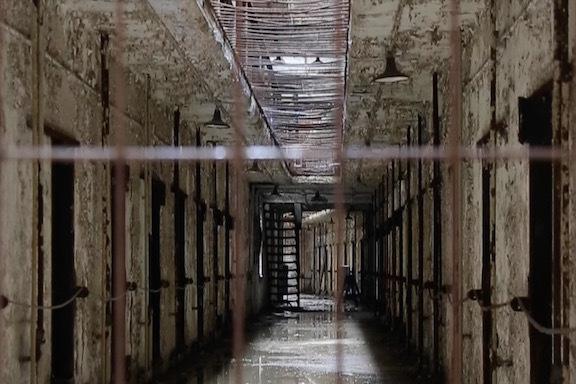 Plus, we’ll be sharing more photos from our visit to Eastern State Penitentiary later this week! Pick a day and time wisely. 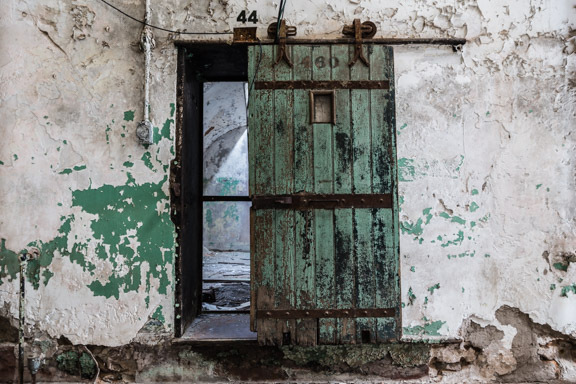 Visiting historical sites can always be a crowded event especially at a place like Eastern State Penitentiary! We visited on a Sunday morning right when they opened which gave way to very few photo bombers. I think it also helped that we were there in February as opposed to the summer. Be wary of extreme temperatures. When we were there, it was not too cold outside for being the winter…but when we were inside the prison, the temperature dropped dramatically. We learned it is important to dress for being inside a massive stone building! Bring a tripod…a remote is a plus. It is dark in the prison…very dark in some places, so a tripod is a must to avoid blurry photos! You do have to pay extra money to bring the tripod into the building, but it is worth it especially because the tripod pass lasts for a year. We also used a remote which helped to make sure there were no vibrations when taking the photo. Don’t forget the map. The prison is like a wagon wheel designed maze…which means there are many cell blocks that often look similar but are not. The map from the visitor’s center really helps guide you to make sure you see it all! Listen to the audio tour. We didn’t have time to listen to the audio tour, but we hear that it is very interesting and helps you truly understand the history and conditions of this place. Next time we visit, we’re definitely going to pop on the headphones! Give yourself plenty of time. Eastern State Penitentiary is massive! It takes up a whole city block which means there is so much to see and explore. We suggest giving yourself at least three hours especially if you are taking photos. Have you ever visited a historical prison? Leave a comment…we would love to hear what you think!